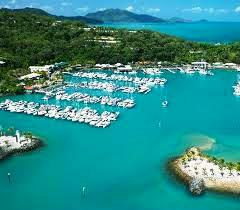 Sailing past some of the Whitsunday Islands and the headland of Mandalay Point you catch your breath at the beauty of Airlie Beach, the jewel in the crown of the Whitsundays. It’s nestled besides one of the world’s greatest wonders, the Great Barrier Reef which is World Heritage listed and 74 tropical islands in the turquoise waters of the Coral Sea. The magnificent Conway National Park provides a superb natural backdrop for the town with Mediterranean styled resorts stretching up the hills with spectacular views over the Whitsunday Islands. 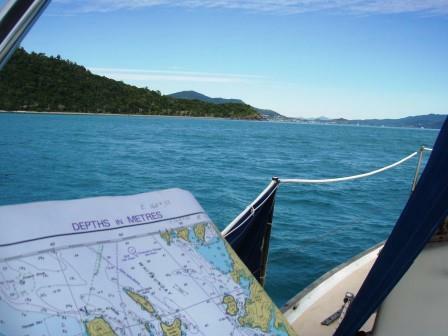 You have a few choices of places to anchor or you can secure a berth at the Abel Point Marina. At the marina there is a full range of services including fuel, hard stand facilities, a laundry, dive shop, chandlery and bottle shop. If you don’t have a boat consider a yacht charter option or even take in a fishing charter while you enjoy these pristine waters. From Abel Point Marina there is a boardwalk that takes you on a pictures’ walk to the shops at Cannonvale or in the opposite direction to Airlie Beach. If you decide to anchor there are a couple of options. Just off shore from the Sailing Club provides good protection from southerly winds but is exposed to the north and can have big swells. There is a dinghy harbor behind the break water at the Sailing Club and visitors are welcome. Enjoy a meal on the big veranda and watch magnificent sun sets over the Whitsunday Islands before heading back to your yacht. This area dries extensively so watch the tides. The other anchorage is off the Abel Point Marina, the same applies; watch the tides and predominant winds especially in the cyclone season. When on a sailing holiday no matter where in the world it is don't forget to enjoy some of the amazing places to be seen on land. One of the best ways to do this is by RV Camping, another way of cruising just via the roads! 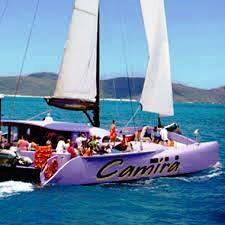 Step ashore in Airlie Beach and you find a colourful, cosmopolitan holiday village bursting with energy. Airlie is captivating because it is uncomplicated and accessible. If you’re looking at provisioning the Saturday morning markets under the palm trees by the beach are an easy stroll to the sailing club and the best place to go. Be there early for fresh produce from surrounding farms, mangoes and bananas are cheap in season. Buy colourful sarongs and crafts and sample coffee brewed from local beans. Although progress is catching up there are no movie theatres’, or culture like a city holds but that’s part of its charm. So what is there to do other than the pleasure of sailing around the islands? 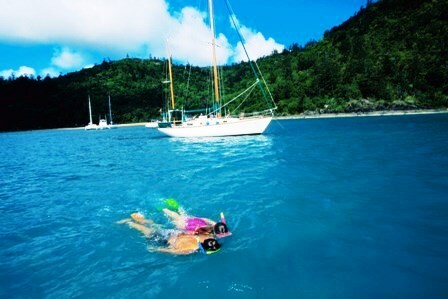 Take the plunge and go diving or snorkelling in the Great Barrier Reef it truly is spectacular. 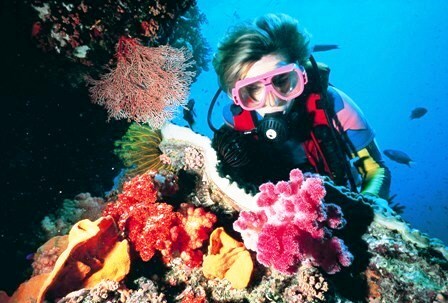 The reef provides an oasis for all sorts of tropical fish, turtles and other marine life. 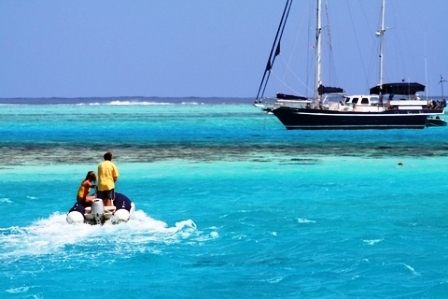 There are a number of popular bays and islands with fringing reefs where you can anchor and explore. But keep in mind there are strict laws on anchoring so as not to damage the coral, and when tying up to a buoy rules apply. There are also zones where fishing is prohibited and stiff penalties if you break the law. 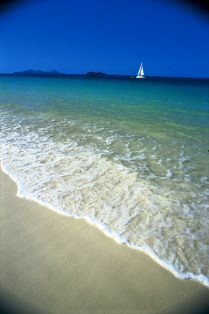 Chandleries and fishing shops have free charts on rules and regulations and the book which tells it all is 100 Magic Miles of the Great Barrier Reef the Whitsunday Islands by David Colfelt. Just another way to appreciate the amazing Whitsundays is to take a scenic flight in a sea plane, wonder at some of the coral formations like the heart shaped reef. 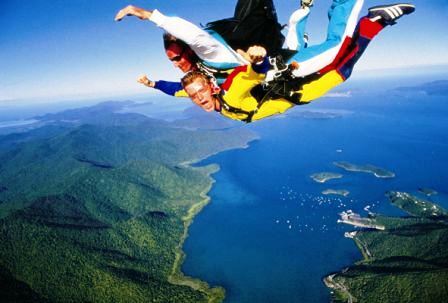 And if you are really game try sky diving and if you can keep your eyes open the view of the islands is breathtaking! 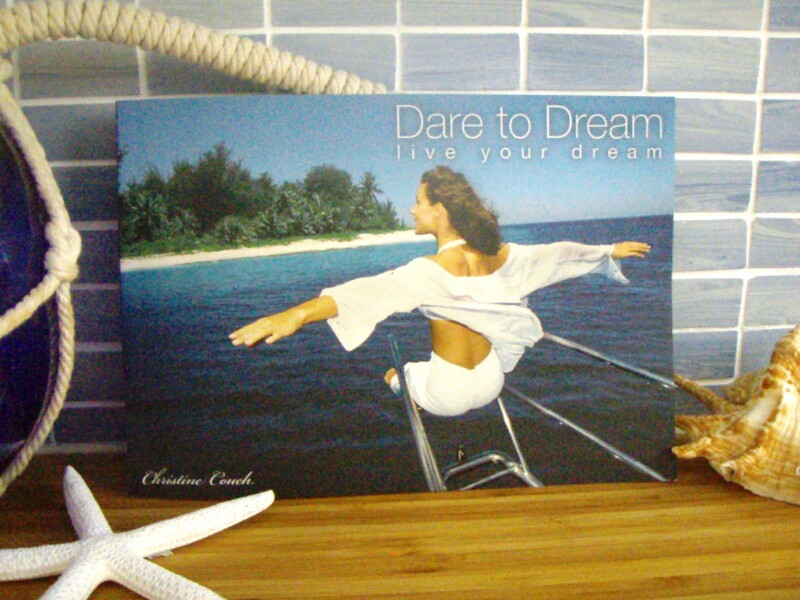 Stretch your legs and go back to nature in the rainforests and natural bush that surround Airlie. The Conway National Park embraces the area and has some good hiking tracks like the Great Whitsunday Walk and in the wet season round January to March Cedar Falls is at it’s best with a popular swimming water hole. 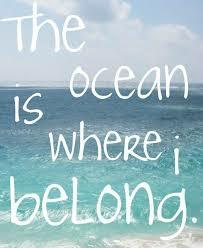 The Great Barrier Reef is one of the seven wonders of the world and Heritage protected and deserves its own festival. The is a vibrant and colourful celebration of the Great Barrier Reef and the Whitsundays held every year in November. It celebrates the Whitsunday Islands natural assets with 4 days of fun in the sun. From live concerts under the palm trees, sand sculpting competitions, street parties, fashion parades, a Reef Fire Beach party and movies at the Airlie Beach Lagoon. Like me you may want to stay awhile and work as you enjoy the amazing lifestyle.